First, what is Saving Memories Forever? It's an Internet-based service that allows people to record, share, and save family stories. It uses an iPhone app, and the recording and uploading processes are easy to use. The company's site is http://www.SavingMemoriesForever.com/; you can find the app on iTunes listed as Saving Memories Forever. There's a demo on the Saving Memories Forever home page that you can try out. Recordings are focused stories with short (5-10 minute) respones. They are organized on the site by question and date and are designed to be easy to retrieve and share. They are maintained in a secure location and remain private. The premium service allows you to have unlimited stories and storytellers, a search-by-tag feature, and the ability to upload photographs and documents such as recipes. 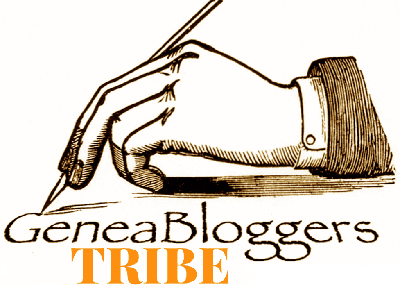 I have a one-year premium subscription to give away to one of my readers. I want to know what the farthest is that you've gone to get original data for your research. This could be something like obtaining records from a repository, taking a photo of a tombstone, or visiting a town named for a family member. To enter, reply to this post with a short description of your journey, including both endpoints of the trip. If you wish to keep any specific information private, please let me know in the reply so the post can be edited before it is made public. The deadline is November 14, 2012. Distance will be judged by Google Maps. I will make the final decision. I'm looking forward to some good stories! Let's see...I live in Chicagoland, so there's my starting point. Where have I gone to do research? I drove to eastern Iowa (Davenport, Muscatine, Cedar Rapids) to find family graves. I found most of the stones I was looking for and found the grave of my brother who died as an infant. He has no stone because my parents couldn't afford one at the time. I flew to California (Huntington Beach)for business and stayed with my Aunt (mother's sister). While I was there we dug out the photo albums and walked down family-memory lane together. Yes, I took notes. But it wasn't the original purpose of the trip, so I'm not sure it counts. I've also driven to New Orleans to do some research at the Archives there...it wasn't research for my family - I was helping a friend - so I'm pretty sure that doesn't count. I *want* to go to Alsfeld, Germany because of a Familienschrank that is there. That's where my great-grandfather was from and I'd love to visit...just haven't had the time/money to do so yet. So I know that doesn't count. So let's see, obviously California is the farthest of the trips you have actually taken (as opposed to the trip you *want* to take). Chicago to Huntington Beach is about 2,010 miles. That's a pretty good distance. Ahhhhhhh! In researching my paternal line, I traveled from Seattle to Prince Edward Island, Canada to seek our church records, graveyards, and the local record offices. But wait! While I was there, I discovered that two of the sons of this large farming family became missionaries and were sent to and island called Erromango in the South Pacific. Further research revealed that this island is now part of the country of Vanuatu. A year later, I was on a plane to Vanuatu, then on a puddle jumper to the small island of Erromango and bring presented to the island chief. After two days, I was put in his dugout canoe, rowed across a river, climbed up a mountain through very dense jungle and into a very Canadian looking walled cemetery -- totally overgrown -- and found the gravestones of my two uncles and one aunt. It was the trip of a lifetime! Not only is Seattle to Vanuatu about 6,200 miles, that is a great story! I hope you have that story written down and included with other documents about your family.